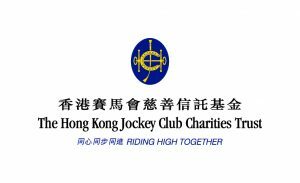 Bruce is a Senior Project Manager, Charities, at The Hong Kong Jockey Club. He manages CoolThink@JC’s overall planning, development, and implementation, and also supports funding allocations for projects under the themes of youth, poverty, and education & training. Most recently Bruce has been a founding team member of Character Lab, a New York-based education start-up. He is responsible for the organisation’s operation, and facilitates researchers and educators to pilot teaching strategies that develop character and learning mindsets in students. He also directed Revive the Dream, a New York-based fellowship program that trains and places business professionals into the education sector. Prior to that, Bruce was a Director at Dalberg Advisors. He advised organisations such as the Bill & Melinda Gates Foundation and the World Bank on solving social and business issues. Bruce started his career as a financial analyst on Wall Street. Bruce was selected as an Education Pioneers fellow in 2014. He was also the Chairman of the 32nd Hong Kong Joint School Science Exhibition Preparation Committee. 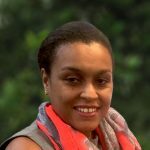 Tinuade Benson-Bergkvist is Chief Special Operations Officer International Finance Corporation (IFC), Hong Kong, where she heads the Asia Special Asset Team. During her 16 years at IFC, she has held senior positions across all aspects of investment, syndications and portfolio management in emerging markets. 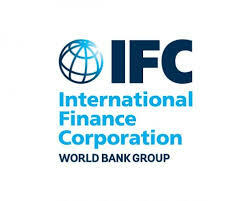 Having started with IFC in Washington, she has been based in Istanbul, London and most recently Hong Kong. Tinuade holds a degree in Economics with Actuarial Sciences from University of Southampton, UK, and MBA from INSEAD, France, and is a member of the Institute of Chartered Accountants in England and Wales. 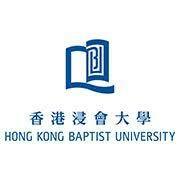 Dr. Albert Chau is Vice-President (Teaching and Learning) of Hong Kong Baptist University. He is responsible for the University’s teaching and learning for the nurturing of creative, caring and ethical global citizens. He leads the development of curriculum and academic programmes, quality assurance, innovative learning such as experiential learning and eLearning, student recruitment and placement, and globalisation of teaching and learning. Dr. Chau received his BSc in Industrial Engineering and Postgraduate Certificate in Psychology at The University of Hong Kong (HKU), and MSc and PhD in psychology at the University of Wisconsin, Madison, USA. He then taught at the Department of Psychology at HKU, serving as assistant professor and associate professor. He was Associate Dean of the Faculty of Social Sciences (2000-2002), Director of General Education (2002-2015), and Dean of Student Affairs (2005-2015). He is an elected fellow of the Hong Kong Psychological Society. 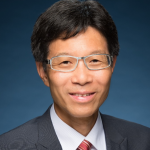 Dr. Chau has served on committees and panels related to secondary and tertiary education. He was also appointed to several Government committees or advisory panels related to education, elderly affairs, the environment and broadcasting; and provided service to a few charities and NGOs on youth development, heritage preservation and arts and culture. Over the years, Dr. Chau has developed extensive community networks of professionals, experts and employers in different fields. He was able to mobilise community resources effectively to benefit student learning and promote knowledge exchange with the community. 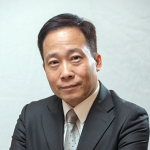 Dr. Chua is a core member and founder of the Center for Entrepreneurship at CUHK. She is also an assessor to the Small Enterprises Research and Assistance Program (SERAP), Innovation and Technology Fund, Hong Kong Government SAR and member of the Zonta Club of Hong Kong, and serves on the Executive Committee of the American Chamber of Commerce Hong Kong – Entrepreneurs Group. Dr. Chua recent work included launching the Booz Allen Hamilton Social Entrepreneurship Challenge, a program to promote social responsibility among the MBA students towards the communicty. With the GEM Hong Kong core team, she started the Center for Entrepreneurship at CUHK in July 2004. Dr. Chua earned her B.Sc. from University of Wisconsin at Stevens Point, her MA and Ph.D. at Ohio University, Athens. Originally from Singapore, she now resides in Hong Kong since joining CUHK in 1989. She was Deputy Head, Survey Research Branch, Personnel Research Dept., at the Ministry of Defence, Manpower Division. Singapore from 1983-1988. Mr. Raymond Chu has around 20 years of commercial experience encompassing different sectors including IT, banking and finance, advertising, retail, healthcare, Chinese medicines, technology. Before joining PolyU, Raymond has worked in a number of multinational and local corporations. He was Assistant Vice President of Crédit Agricole Investment Bank (formerly Crédit Lyonnais) working on infrastructure project financing, and Project Manager in Hutchison Whampoa Group responsible for setting up Chinese medicine business ventures. He also worked in local companies like Healthworks Group during which he had successfully structured and concluded a multi-million US dollar business transfer deal between the Group and Coca Cola. 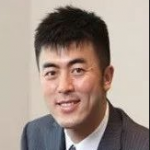 Mr. Chung is the Chief Executive Officer of the MentalCare Connect Co Ltd. He is also the Hon. 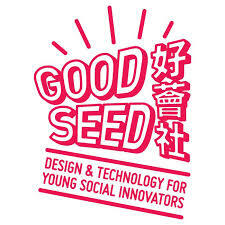 Secretary of the Hong Kong General Chamber of Social Enterprise Limited (HKGCSE), and the Founding Member of Social Innovation Charity Limited. Mr. Chung has joined the Mental Health Association of Hong Kong since 1994 and found the first integrated retail shop in the Social Services Building under the Association in 1998. Since then, a number of convenience stores and rehabilitation shops have been developed under Mr. Chung’s leadership. Accompanied with the rapid expansion of business, the retail services brand –‘Cheers Gallery’ has been successfully built up and became popular in the network of the Hospital Authority. 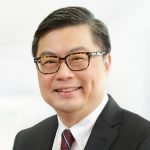 In 2002, Mr. Chung was appointed as the Executive Director of the Association’s subsidiary, the MentalCare Connect Co Ltd. He led the professional team which formed by a group of members with commercial background to develop 25 social enterprise projects from the range of cleansing, retail, marketing service, publication, catering, co-op shop to e-commerce. In early 2012, Mr. Chung was seconded to MentalCare Connect Co Ltd. as the Managing Director and spent all his effort on leading and developing of the Company. MentalCare Connect Co Ltd. is now one of the most successful social enterprises, obtaining numerous recognition and awards in the sector. In 2014/15, the annual turnover reached a record of over HK$102 million and this new record was proudly generated by 160 employees which 70% are ex-mentally ill persons. Mr. Chung is a Registered Social Worker. He holds both of the Master Degree of Social Work and Business Administration. 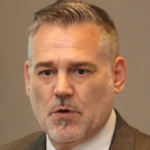 Doug Coulter joined LGT Capital Partners in 2007 to lead its Asian private equity investment activities. 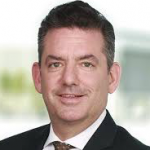 Prior to LGT, Doug was a Senior Investment Officer for the IFC, responsible for direct investments in the TMT, retail & consumer and healthcare sectors. He previously worked at Nomura Securities in Hong Kong and as a lawyer at Fasken Martineau DuMoulin LLP in Toronto. He holds an MBA from INSEAD in France, a M.Sc. from the LSE, a law degree from the University of Western Ontario and a B.A. from Queen’s University in Canada. 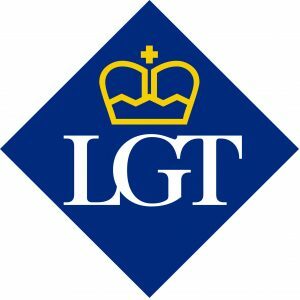 LGT Capital Partners is a leading alternative investment specialist with over USD 60 billion in assets under management. Headquartered in Pfaeffikon, Switzerland, the firm has offices in New York, Dublin, London, Paris, Vaduz, Dubai, Beijing, Hong Kong, Tokyo and Sydney. LGT Capital Partners was selected as Alternatives Manager of the Year in Asia in 2016 and 2017 by AsianInvestor as well as Alternative Fund House of the Year in 2018 by the same publication. 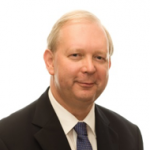 Mr Sean O. Ferguson is a global higher education executive with a diverse combination of professional experiences. Currently, Mr. Ferguson is the Associate Dean of Master’s Programs and Director of MBA Programs at the Hong Kong University of Science and Technology’s (HKUST) School of Business and Management. In this capacity, he is responsible for leading the MBA and MSc programs and providing oversight for the school’s various master degree programs. Prior to joining HKUST, Mr Ferguson was the Assistant Dean of Degree Programs at Rice University’s Jones Graduate School of Business. At Rice, in addition to Mr Ferguson’s administrative responsibilities, he taught international business and applied management courses. 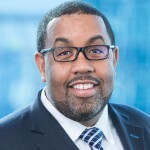 Mr Ferguson is a current board member of the Graduate Management Admissions Council (GMAC) and the American Chamber of Commerce Hong Kong. Before moving to the higher education industry, Mr Ferguson had a distinguished corporate career working at PROS, Cap Gemini Ernst & Young (CGE&Y), and Procter & Gamble (P&G). Mr Ferguson received his Bachelor of Science in electrical engineering from the University of Michigan, Ann Arbor and a Master of Business Administration from Rice University. Joining the United Nations in 2005, David served as the Chief of Digital for the Joint United Nations Programme on HIV and AIDS (UNAIDS), Chief of the Web and Knowledge Management Unit at the United Nations Conference on Trade and Development (UNCTAD) and Practice Leader of the Asia-Pacific Region Knowledge, Innovation and Knowledge Group for the United Nations Development Programme (UNDP). Currently, David is the Global Chief of the United Nations Social Impact Fund (UNSIF), an innovative impact investment fund, jointly established with UNDP, UNEP, UNFPA and UNCDF. As a global platform, UNSIF acts to maximise every dollar being invested in the developing world by bringing together philanthropists, foundations, corporations, private investors and governments to chart a new course towards a collaborative financing model. UNSIF will accelerate and enable the scale-up of successful enterprises that have social and environmental benefits, and lead to greater social impact while providing the potential for sustainable and inclusive economic returns. 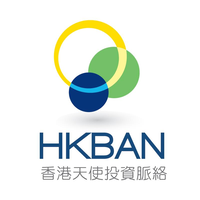 Ben is currently the Chair of the Board of Directors, EMpower Hong Kong. He is also the Senior Vice President of the D.E. Shaw Group. As an Underwriter in Hong Kong supporting EMpower, he is a committed and strategic visionaries who understand the value of longer-term financial support that enables growth and innovation. With over fourteen years of experience as an international development professional, Arian covers J.P. Morgan’s philanthropic activities across ASEAN, Hong Kong, Australia, and New Zealand. 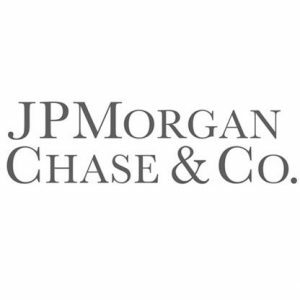 Before joining J.P. Morgan in March 2015, Arian managed Fung Global Institute’s research on Asian finance, supply chains, governance, and sustainability. Prior to moving to Hong Kong in 2013, she was in charge of a cultural development fund at the United Nations Educational, Scientific and Cultural Organization (UNESCO) in Paris, where she oversaw a portfolio of grants across 40 developing countries worldwide. From 2007 to 2009, she headed Hope Street Group’s efforts in developing the think tank’s Economic Opportunity Index, while advising 2008 U.S. presidential campaigns on education and job creation. From 2004 to 2007, Arian launched and managed UNESCO’s Creative Cities Network, a development project that still helps cities across the world integrate cultural industries into their economic growth strategies. Fluent in English, Farsi, French, and German, Arian started her career in the media and global communications investment banking team at Merrill Lynch in New York. She holds a Master in Public Administration in International Development from Harvard Kennedy School, and a Bachelor’s in economics and German studies from Brown University, where she was awarded a Fulbright scholarship. 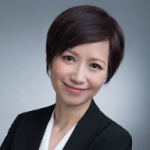 Community Affairs, a key strategic arm of UBS’s corporate responsibility, Kumiko Hori is in charge of the strategic implementation of the firm’s community programmes at its Asia Pacific franchise in thirteen locations. 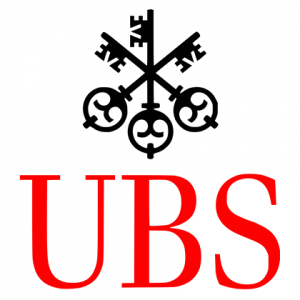 UBS supports communities in various ways including grants and employee volunteering in order to build stronger communities through education and entrepreneurship. Since joining the firm in 2007, Kumiko developed diverse employee engagement programmes. And from 2017 to 2018, the employee volunteering ratio and hours has doubled from, giving the local communities over 42,200 hours of volunteering a year. Her leadership on diversity and inclusion initiatives has led significant expansion of UBS employee networks – LGBT, working parents, female talents/leadership and working parents & work-life balance. She has extensive network among CSR/ESG fields as well as the civil sectors in Asia, and served as advisor to several education boards, and leading NGOs. Kumiko also was a member of Prime Minister’s roundtable to envision the future of Japanese civil society in 2010, Advisor to Tokyo Met Gov., and Kamaishi-city, Iwate Pref. on community regenerations (2015- ongoing). 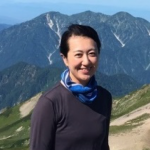 Prior to joining UBS, Kumiko worked for Sompo Japan Insurance Inc., and National Center for Human Rights Affairs, where she conducted CSR research and program development on human rights protection with corporations. She holds M.A. in Sociology from University of Reading, and a B.A. (Hons) from University of York in the U.K. 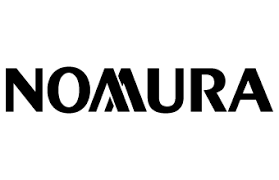 In his role as Chief Operating Officer, Aleem oversees the business operations for Nomura’s Global Markets business across 10 countries in Asia as well as Nomura’s FX and Emerging Markets businesses globally. 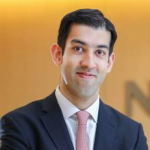 Aleem represents Nomura on the board of ASIFMA, an industry body for financial services in Asia; and also serves on the board of Nomura’s Primary Dealer in India and a WFOE in China. In addition, Alleem is a Board Director of EMpower Hong Kong and an Advisor to Foundation for Mother & Child Health in India. He is committed to supporting the sustainable growth of NGOs in Asia and promoting best practices and knowledge sharing between organizations. Aleem graduated from the Wharton School at the University of Pennsylvania with a Bachelor of Science in Economics. Yoonah is an Executive Director in the Office of Corporate Engagement at Goldman Sachs. She leads the firm’s philanthropic efforts in Hong Kong, India, Korea, and Southeast Asia, including global initiatives 10,000 Women and Goldman Sachs Gives. Prior to joining Goldman Sachs, Yoonah was a Foreign Service Officer with the U.S. Department of State. John Kwong is CEO of ParaDM, a leading eDMS and workflow software and cloud application company with operations in Hong Kong, China and Singapore. 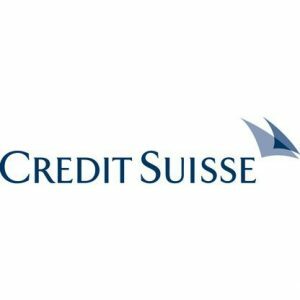 Its global blue-chip client base include HSBC, Li & Fung Group, Nike, Baxter Healthcare, Performance Motors, Hong Kong Exchanges and Clearing Limited, Ocean Park, NTT, DHL, Bank of China Group Insurance, ICBC Bank, Chong Hing Bank, Citic Bank Int’l Ltd, Shanghai Pudong Bank, Transunion, Manulife, New World construction, Swire Beverage, CSL, Philip, Sun Hung Kai Finance, Manulife, etc. John is a veteran IT business executive with over 14 years of experience in the fields of cloud application, file-sharing, document analytics, imaging, content management and business process management solutions. John was one of the first members of ParaDM management team since it was found in 2003. 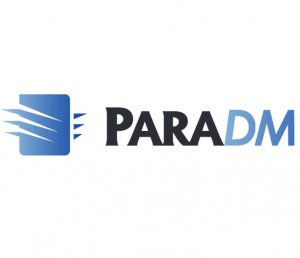 Prior to his role as CEO, John was VP of Sales of ParaDM’s North Asia Operation, responsible for driving and scaling its business in the region. Under his leadership, the company has won numerous prestigious IT Awards in China and Hong Kong. John received his Bachelor of Commerce degree from the University of Windsor of Canada and earned his EMBA Degree from The Chinese University of Hong Kong. Lydia is the Director of Ivey Case Centre (Asia) based in Hong Kong. As a seasoned marketing and strategy executive of 18+ years of professional experiences, Lydia has held senior leadership roles at various leading industry players within the commercial sector, such as Huawei, South China Morning Post (SCMP), Damco, and Motorola Asia-Pacific. Since 2012, Lydia has taken on a different path as inspired and driven by her passion in teaching and serving the society in need. In the last couple of years, she has worked with and consulted various local and international NGOs in the area of marketing, branding, fundraising, and strategic review while teaching marketing part-time at HKU SPACE. Her most recent role before joining Ivey was the Director of Global Initiatives at Booth Business School of University of Chicago in Hong Kong. 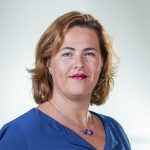 She has also been recently appointed as a member of the Board of the Nesbitt Centre, a NGO dedicated to the provision of integrated and person-centered opportunities for English-speaking adults with learning disabilities. 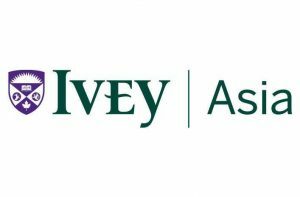 Lydia is an Ivey’s EMBA alumnus and received her degree in 2002. Ms. Irene Leung worked in the telecommunications industry before joining the Senior Citizen Home Safety Association (長者安居協會) as the Chief Executive Officer in 2012. 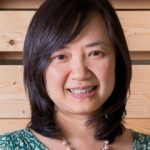 Prior to joining The Association, Ms. Leung was the Executive Vice President of CSL Limited, a biopharmaceutical company. 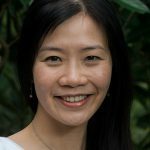 Ms. Leung has been awarded ‘Hong Kong Outstanding Information and Technology and Communications Woman’ by the Hong Kong Computer Society. 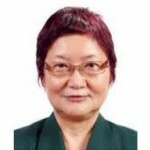 She is currently the Vice President of Hong Kong Internet Federation, member of the Social Enterprise Advisory Committee of HKSAR Government Home Affairs Bureau, member of the Industry Training Advisory Committee, Elderly Care Service Sector of Hong Kong Special Administrative Region Government Education Bureau, Board Member of eHealth Consortium, and a member of the Advisory Board of Institute of Active Aging of The Hong Kong Polytechnic University. 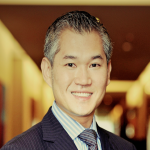 Graduated from the University of Toronto with a bachelor degree in Applied Science (Mechanical Engineering) in 1992, Mr Nick Lo swiftly returned to his birth place Hong Kong to start his career as an Assistant General Manager of Crystal Properties, a flagship subsidiary of Crystal Group. Mr Lo was tasked to help develop the business, Crystal Properties, with a focus on exploring the opportunities in Mainland China by means of devising a long-term strategic plan to take the Group a step further and go beyond manufacturing business, which is the property development and related businesses. Over the past two decades, Mr Lo has obtained thorough understanding and breadth of knowledge in property development both in Hong Kong and Mainland China. He was the General Manager of Crystal Properties in 1996, a Director of Crystal Investment Limited in 1998, a Director of Crystal Properties in 2000 before he was appointed as the CEO of Crystal Properties in 2005. Mr Lo has been active in contributing to the community through voluntary services. He has been serving in a number of social service organizations, such as the Director of the Foundation of University of Toronto (HK), the Chairman/President of Dongguan Changping Real Estate Association in 1998-2000. He has been appointed the Chairman of Youth Federation of committee member of Chongqing since 2001, the Director of Sichuen Province Overseas Friendship Association in 2011, the member of Yunnan Overseas Economic Cooperation and Promotion Association and Guangdong Returned Overseas Chinese Adolescent Committee in 2012. 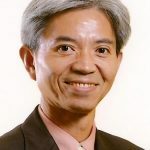 Timothy K. W. Ma, is a founding executive director of the Senior Citizen Home Safety Association; and is now serving as the Project Consultant of Project Flame: Social Innovation & Entrepreneurship at The City University of Hong Kong. The project focuses on incubating innovative initiative in the university to expand and develop more students to have experience and exposure on social enterprise. It also helps to design and support the delivery of Gateway Education courses themed with social enterprise and service leadership at the campus for the students. Mr. Ma serves as the co-founding member of the Hong Kong Social Entrepreneurship Forum with Dr. KK Tse. He also is the Vice-chairman of the Hong Kong Chamber of Social Enterprises. He has served as the core member of the Organizing Committee for the annual Social Enterprise Summit since 2010. Mr. Ma was the ex-member of the Elderly Commission and Guardianship Board, as well as the Social Welfare Advisory Committee and Town Planning Board. Now he’s serving as the Non-Executive Director of the Urban Renewal Authority, Executive Council member of the Hong Kong Housing Society, Board Member of the Social Workers’ Registration Board, member of Elderly Academy Development Fund, Lottery Fund Advisory Committee and Land Development Advisory Committee. He is also a co-opted member of the Task Force on Social Innovation and Entrepreneurship Fund of the Commission on Poverty. Ronie Mak is the Managing Director of RS Group, a Hong Kong based family office focused on sustainability through responsible and impact investments. She is an investment banker by training with over 15 years of banking experience, both in mergers and acquisitions as well as in HSBC’s CEO office supporting the HK CEO. She acted as Secretary of the Hong Kong Association of Banks in 2012. 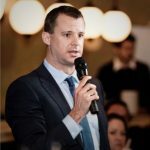 Roger Marshall is Managing Director of Persimmon Capital Limited, an investment management and advisory firm that he founded in 1999 specializing in private equity and venture capital. 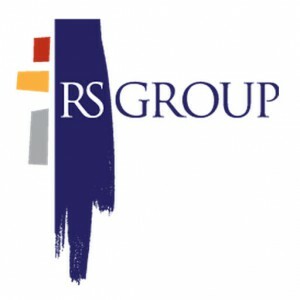 Roger has been involved in private equity industry affairs for the last 10 years. He was Chairman and President of the Hong Kong Venture Capital & Private Equity Association. 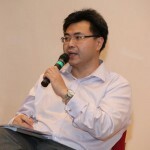 He is involved in developing early stage funding as a Founder and Director of the Hong Kong Business Angel Network. He is also a Director of the Young Entrepreneurs Development Council. Roger is an active investor in his area of focus – principally asset based businesses in food service and processing and leisure. He is an executive director of Bakkavör China following its purchase of Creative Food Group, a supplier of fresh cut produce and foods to the food service industry in China where Roger was an investor. He is also a director 0f Zhuge Liang Investments Limited, an investment vehicle in food concepts and food manufacturing. He is an independent non-executive director of Shanghai Dajiang Stock (Group) Co. Limited, the Shanghai-listed meat processor. He sits on the investment committee of a prominent shipping family in Hong Kong. Roger has been based in Hong Kong since 1992. He was Managing Director of ABN AMRO Capital in Asia, the private equity investment management affiliate of ABN AMRO Bank from 1999 t0 2009. Emily Nason is the Associate Dean (Undergraduate Student Affairs) and Associate Professor of Business Education in Management at HKUST Business School. 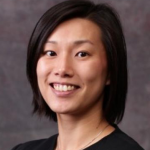 A proud BBA alumnus from HKUST, Emily joined the faculty in 2005 upon completing her PhD in Organizational Behavior and Human Resources from UCLA. Emily is now a member of the School’s senior management and drives strategic initiatives to strengthen the School’s comprehensive undergraduate education portfolio. She oversees undergraduate recruitment and admissions, student development and career services, and the flagship Global Business program. A passionate educator, Emily is the Founding Director of the Karen Lee Student Mentoring Center, a winner of the Franklin Prize for Teaching Excellence and selected by students multiple times as one of the “HKUST Best Ten Lecturers” and “Favorite Mentor”. Professor Ed. Snape is Dean & Chair Professor of the School of Business, Hong Kong Baptist University. He served as Associate Vice-President in 2010-2013, when he was responsible for several projects in academic planning and quality assurance, later overseeing internationalisation and knowledge transfer. He has previously worked as Professor of Management at Durham University and at Bradford University in the UK. Prof. Snape researches and teaches in human resource management, employee commitment, leadership and industrial relations. 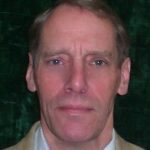 He serves on the editorial board of several journals including Human Relations, and the Journal of Management Studies. Vincent is an experienced Managing Director with a demonstrated history of working in the wealth management industry for over 25 years. He is well skilled in Private Banking, Portfolio Management, Capital Markets and Ship and Aviation Finance. He is currently a Market Leader at Credit Suisse Hong Kong with over 38 employees covering the HK Private Banking market. He leads various charitable programs and initiatives at Credit Suisse HK and is a charity committee member at the bank. Prior to his current role, he was the APAC Head of Real Assets Lending and Private Banking Team Leader based in Singapore. Vincent graduated from the University of Maryland, College Park USA with a Finance Degree and was a Board Member of the Make A Wish Foundation in Singapore. Prof. Tam is a top-notch information systems scholar specializing in big data and electronic commerce, firmly believes that academic research should be intellectually challenging and practically relevant. He has been playing an active role in promoting academia-business collaboration projects and start-ups at the University. Prof. Tam graduated from Purdue University with a PhD in Management Information Systems. 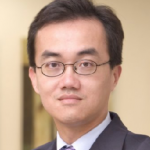 He joined HKUST in 1992 after serving on the Business Faculty of The University of Texas at Austin in the US. He was awarded the title of Chair Professor of Information Systems, Business Statistics and Operations Management in 2005. From 1999 to 2006, he was Associate Dean of the HKUST Business School, and from 2002 to 2005, the Head of the Department of Information and Systems Management. 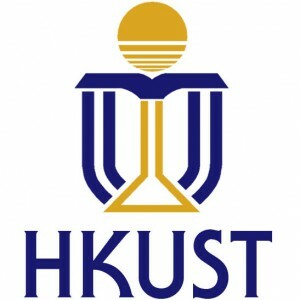 Prior to the new appointment with effect from 1 April 2016, he was Dean of Students and Associate Provost at the University from 2007 to 2016, and was dedicated to improving the quality of HKUST’s undergraduate education. 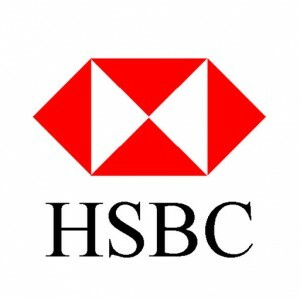 Malini Thadani joined HSBC in 1995, having spent fourteen years in the Indian Revenue Service. 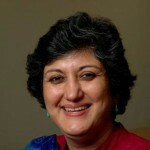 In the Indian government, she gained diverse expertise from assignments in the Defence Ministry, the Textile Ministry where she was Registrar of the National Institute of Fashion Technology, the country’s premier institution for fashion and, in the Central Board of Direct Taxes in the Finance Ministry, where she held various positions. 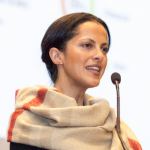 She was head of Communications, Public Policy and Corporate Sustainability for HSBC in India until 2012, when she has moved to Hong Kong to take on the responsibility of Corporate Sustainability for the Asia Pacific Region. Stephanie is currently the Associate Dean of Graduate Programs and Director of MBA Programs, CUHK Business School. She is overseeing all activities related to the MBA programs, developing and increasing operational efficiencies, marketing and career outreach of all Masters Programs. 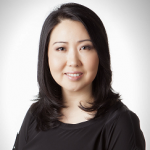 Prior to joining CUHK, Stephanie was the Global Director, MBA Program at INSEAD. 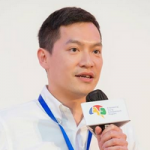 Wei Wei joined the UBS Optimus Foundation in January 2013 as the Director of Asia. Prior to his current role, he was an aid worker for more than two decades in East Africa and South Asia. Wei has more than 10 years of experience in poverty alleviation and child development. Wei served as the National Director of Right To Play China, the Program Director of Plan China and a Senior Program Officer of Pact. 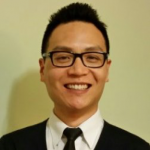 Wei has tremendous experience in organizational development, strategic planning, program management and fundraising. Wei managed programs in education, health, sanitation, community development and micro-finance. Wei holds a BA in Economics and a BA in Classics from Stanford University. 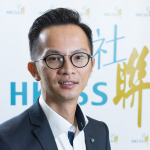 Anthony Wong is the Business Director, Policy Research and Advocacy of The Hong Kong Council of Social Service. For many years, he has been working in the Council on service and policy research. Previously the Council’s Chief Research Officer, he was charged to enhance the capacity of NGOs for evidence-based practice. He took up the responsibility of pioneering and promoting social impact assessment to help different stakeholders of different service projects or programme to articulate the social impacts of their investment in terms of money, expertise, and efforts. 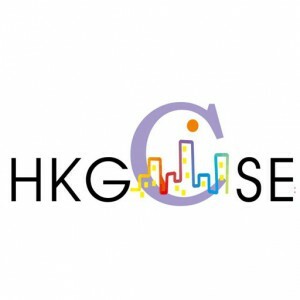 Working jointly with The University of Hong Kong’s ExCEL3 project, he has contributed to develop a unique Social Impact Assessment framework with the University and has applied it in a number of programme or project assessments. The Council’s work on social impact assessment is still under his supervision. Anthony received his Bachelor of Social Work degree from The University of Hong Kong in 1992, and M.Phil in Social Sciences from the Hong Kong University of Science and Technology in 1997. His is now Ph.D candidate in the Department of Sociology of The University of Hong Kong. He is a Registered Social Worker in Hong Kong. 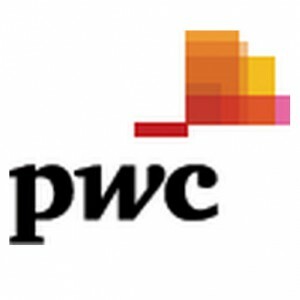 Cecilia is a Partner in the Entertainment and Media Practice of PwC Hong Kong. She has more than 17 years of assurance and business advisory experience across Asia Pacific, which includes audits, financial due diligence, risk assessments review, floatation work and Sarbanes Oxley 404 control audits. Her experience is mainly on entertainment, media and telecommunication sectors. She serves a wide range of multinational and listed entertainment, internet and telecommunications companies in Asia Pacific region. 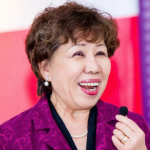 Dr. Alice Yuk, JP, is an experienced social work expert, administrator and entrepreneur with over 30 years’ experience (including working as Executive Director of Yang Memorial Methodist Social Service and General Secretary of Hong Kong YWCA for 21 years). She is committed to promoting staff capacity building, development of social services, and actively seeking to improve the well-being of deprived children and families through new policy and enhancing competitiveness in Hong Kong. Since early 1980’s, she has been working with various sectors to try out social enterprise projects aiming to address a social cause with financial sustainability. She also promotes SEs and trains young SE operators and entrepreneurs in the Mainland and other developing countries. 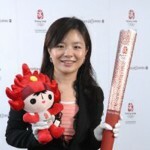 She is one of the founders of the HK General Chamber of Social Enterprises Ltd in 2009.